Despite the fact that not every sliver of the Steele Dossier has been proven true, an enormous majority of it has been corroborated and proven accurate, while nothing in it has been proven untrue. Recently, Trump’s former attorney and “fixer,” Michael Cohen is said to have credible allegations that Trump knew of the infamous Russian meeting at Trump Tower on June 9, 2016, which included numerous Russian government connected individuals, Trump’s son, Donald Jr., his son-in-law, Jared Kushner and his campaign Chairman, Paul Manafort, who is currently in county jail, with his trial under way on a plethora of federal charges. It is relevant to point out that there is a recent change in the “collusion” narrative coming from Donald Trump, Rudy Giuliani and other supporters. We have heard, “No Collusion” for over eighteen months, but most recently, we are now hearing that collusion is not a crime, so even if collusion did occur, it was not illegal. This change in narrative seems to coincide with reports that Michael Cohen may testify that he witnessed Donald Trump, Jr. telling Donald Trump of the planned Trump Tower meeting with Russian operatives that occurred on June 9, 2016. The “collusion isn’t a crime” is a tortured defense that strains credibility. Open any thesaurus and look up collusion. The glaring synonyms include, complicity, conspiracy, deceit, racket, scheme, and on and on. “Collusion” is simply a synonym. It is indeed a crime. Death is not a crime, but murder is. A bank heist is not a crime, but bank robbery is. 1.) One hundred eighty-seven (187) criminal charges in active indictments, or to which individuals have pleaded guilty. 2.) Another 23 counts against President Trump’s former deputy campaign manager Rick Gates were vacated after he agreed to cooperate with Mueller. 4.) Six guilty pleas from five defendants, including Gates, former national security adviser Michael Flynn, former Trump campaign adviser George Papadopoulos, businessman Richard Pinedo and lawyer Alex van der Zwaan. 5.) Former campaign chairman Paul Manafort faces 25 criminal counts. 6.) Van der Zwaan served about four weeks in prison and has been deported to the Netherlands, his home country. 7.) 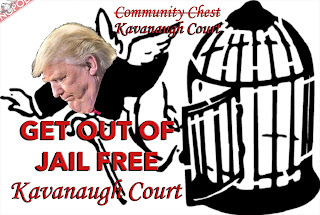 The indictments include charges of conspiracy against the United States; conspiracy to defraud the United States; conspiracy to obstruct justice; conspiracy to commit wire fraud and bank fraud; bank fraud; obstruction of justice; aggravated identity theft; failure to report foreign bank accounts; and tax fraud. 9.) One hundred thirteen (113) criminal counts of aggravated identity theft or identity fraud. 11.) Twenty-five (25) Russian nationals have been charged with crimes along with three Russian business entities. 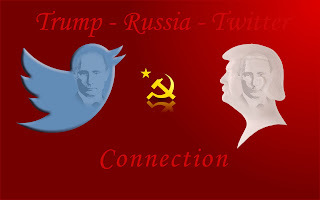 Those individuals were charged in two indictments, one focused on Russia’s alleged effort to foster divisiveness on social media (indicted in February) and one focused on alleged hacking. 12.) Thirteen (13) individuals believed to be linked to Russian intelligence agencies have been charged, including Manafort’s longtime associate Konstantin Kilimnik, a resident of Ukraine. The special counsel investigation has only been active for roughly 450 days. Compare that to Watergate, which took over two years. The House Benghazi investigation lasted 28 months, and produced zero arrests, indictments or fruit of any kind. In the end, the committee's 800-page report did not contain any bombshells about Clinton's actions. Although much more credible and cited evidence exists to substantiate the allegations that Mr. Trump has numerous legal issues, the aforementioned should suffice that there are enough allegations for Trump to consider a supreme court nominee that might be favorable to him, should any of these legal concerns come to fruition. Back to the key question – why did Donald Trump pick Brett Kavanaugh. Let’s do a cursory examination of Mr. Kavanaugh written and spoken records. Supreme Court nominee Brett Kavanaugh suggested several years ago that the unanimous Supreme Court ruling in 1974, which forced President Richard Nixon to turn over the Watergate tapes, and escorted him to the end of his presidency, might have been wrongly decided. Kavanaugh was taking part in a roundtable discussion with other lawyers when he said at three different points that the decision in United States v. Nixon, which established limits on a president's ability to withhold information needed for a criminal prosecution, may have come out the wrong way. A 1999 magazine article about the roundtable was part of a sparse and arguably censored set of documents that Kavanaugh has provided to the Senate Judiciary Committee. At another point in the roundtable discussion, Kavanaugh said the Supreme Court might have been wise to stay out of the tapes dispute. “Should U.S. v. Nixon be overruled on the ground that the case was a nonjusticiable intrabranch dispute? Maybe so,” said Kavanaugh. Based upon Mr. Kavanaugh’s opinion, Nixon would have continued to serve as President, even after having committed high crimes and misdemeanors – in essence as an un-convicted criminal continuing in the office of President of the United States. Mr. Kavanaugh’s opinion is arguably cavalier grandstanding. What is particularly disturbing about Mr. Kavanaugh’s opinion is that is was made decades after the full portfolio of Nixon’s criminal activity was well known, cataloged, indexed and publicly reported. The Nixon tapes clearly prove that he was involved in a criminal conspiracy and that he did obstruct justice – all impeachable and prosecutable crimes. Aside from the fact that Mr. Kavanaugh expressed his opinion with full knowledge that Nixon’s criminal activity was beyond any doubt or question, it would be generous to characterize Mr. Kavanaugh’s opinion as arrogant. With the complexity of our evolving nation, inexperienced, cavalier, and an almost sophomoric arrogance have no place on the United States Supreme Court. With his opinion, Mr. Kavanaugh suggests that he knows better than the eight to zero decision by the then, very well seasoned United States Supreme Court. Associate Justice William Rehnquist, a Nixon appointee, recused himself as he had previously served in the Nixon administration as Assistant Attorney General. William Rehnquist subsequently became Chief Justice on September 25, 1986, following his nomination by Ronald Reagan. Mr. Kavanaugh’s opinion directly contracted a report that recently surfaced from the Kenneth Starr investigation, which was conducted during the Clinton Administration. Kavanaugh directly participated in that investigation with Kenneth Starr. The hypocrisy is astounding. Following exhaustive legal research by non-partisan scholars, it was opined that indeed, a sitting president could be indicted, citing that the alternative is that the president is above the law – a concept completely foreign to the very foundation of the United States democracy and its Constitution. “Like civil suits, criminal investigations take the President's focus away from his or her responsibilities to the people. And a President who is concerned about an ongoing criminal investigation is almost inevitably going to do a worse job as President,” Kavanaugh wrote. Some legal scholars orate that it is utterly ludicrous that investigators or prosecutors cannot even question anyone who is highly suspect of criminal activity – irrespective of what office they hold. Kavanaugh’s opinion in this regard is arguably reckless, and it borders on lunacy. The Office of President of the United States is less a position of authority, and more a position of responsibility. Lunacy has no place on the United States Supreme Court. 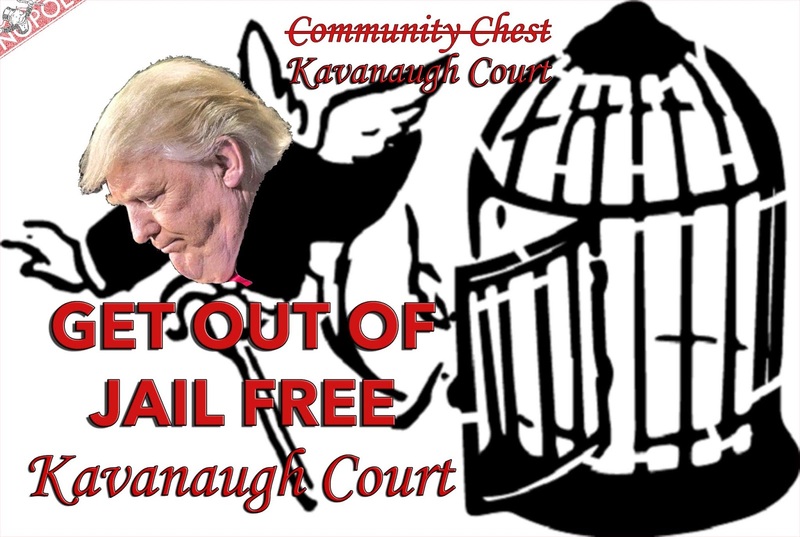 The very statement by Brett Kavanaugh that a sitting president should be exempt from mere questioning by prosecutors places the President of the United States above the law, making the person who occupies the office a King, free to recklessly disregard the law or public policy. It appears that Mr. Kavanaugh’s opinions hold a pronouncement that the president is a king. The World just witnessed Trump nearly agreeing to hand over former United States diplomats and ambassadors to Russia, to face corrupt proceedings that would result in either life imprisonment or death. It raises cynicism as to why Trump selected Brett Kavanaugh as his nominee to the Supreme Court. He is the single pick that would likely protect Trump from any criminal prosecution. With a justice like Mr. Kavanaugh on the Supreme Court, the president might just hold such unfettered powers as an unaccountable king. Kavanaugh’s nomination was vetted and approved by the Federalist Society, which is a powerful group of conservative lawyers intent on reshaping government. Membership on the Federalist Society list holds a perquisite that a candidate must be prepared to overrule Roe v. Wade. Kavanaugh’s nomination replaces one white, Catholic, male, Ivy League, straight, appellate judge, with another, neither adding nor subtracting diversity from a Court where women, disabled, racial minorities, LGBTQ, non-Ivy-League graduates, and all other religious faiths are functionally unrepresented. Americans United is on record stating that Kavanaugh’s record demonstrates that he would likely undermine religious freedom in a number of ways. Religious freedom is one of the bedrocks of the American democracy and is explicitly protected in the United States Constitution. There is reasonable question that Kavanaugh would grant religious exemptions to businesses and nonprofit organizations – even where the exemption could cause real harm to other people. In his dissenting opinion in Priests for Life v. U.S. Department of Health and Human Services, Kavanaugh argued that employers could cite religious beliefs to obstruct their employees’ access to contraception. Kavanaugh’s dissent suggests that he would permit the government to grant religious exemptions in future Supreme Court cases even if they result in the denial of health care or discrimination against women, disabled, LGBTQ people, or religious minorities. With Kavanaugh on the Supreme Court, the court could weaponize religious freedom from its intent to protect religion into a weapon to harm others. This approaches the religious powers and abuses that are inherent in Sharia Law, and are an abomination to the United States Constitution. Kavanaugh arrogantly criticizes fifty years of Supreme Court rulings that prohibit public schools from sponsoring prayer. His pattern of criticizing experienced seated justices with centuries of combined legal experience is concerning. Kavanaugh is the embodiment of the Republican legal establishment: an Ivy Leaguer who worked for the justice he has been nominated to replace, investigated a Democratic president, served in a Republican White House, was appointed a very young and inexperienced justice on the DC Circuit Court of Appeals. Kavanaugh’s confirmation to the United State Supreme Court could be among the most consequential in history. The very survival of our democracy depends upon citizens picking up their phone and calling their Unite States Senator to express their opinion on the confirmation of Mr. Kavanaugh to the Supreme Court. For good or bad, Kavanaugh’s confirmation will have a profound change on the United States for generations.